This Event will take place on Wednesday 24th June at 6.30 p.m. Everyone is welcome to come along and see what the Brigades have been up to. To give you an idea of what to expect an article about a previous awards Evening is below. During the Evening, Relatives and Friends of the Boys and Girls Brigades attended the Annual Display and Awards Evening. This was an opportunity for us all to see what the Brigades had been up to during the last year, and congratulate them on the Badges they had achieved. We were pleased to welcome the Boys Brigade Battalion President, to present the Awards. Our thanks to all who where involved in this enjoyable event. We hope that everyone taking part in this event has a great time. More details of the girls Brigade can be found by following the links below. We were joined by the Mayor and Mayoress of Eastleigh councillor Tony Noyce and Mrs Janice Noyce on Sunday 8th February for our 10.30 service. We had several visitors associated with the Boys Brigade including the Battalion president of the Southwest Hampshire Battalion and former members of Hedge End Boys Brigade. We were Pleased to celebrate the achievements of several people all associated with the Boys Brigade. The Captain of the Hedge End Boys Brigade Jeff was congratulated as he has now served for 40 years as a leader in the Boys Brigade. He was presented with the National long service Award and Certificate by the Battalion president. The Mayor of Eastleigh presented certificates to people who had completed sections of the Duke of Edinburghs Awards. Presenting Silver Awards to Callam and Aaron and a Gold Award to Jack. Gold is the highest Level that can be obtained in this scheme. The service was conducted by our Minister the Rev. Arthur Cowburn who talked about the difficulties that can occur when completing tasks and the necessary persistence that we sometimes require to do so. This Sunday’s service was led by Rev. Les Judd and was an all age worship service. The theme was ‘Spiritual Footwear’. We enquired at the beginning of the year what experiences we may encounter and what spiritual footwear we might require. If our journey is easy we may require sandals, if our way is tough, boots would be more appropriate. We hope the year will have some moments where we slip off our shoes, because we stand on holy ground. We were pleased that members of the Boys and Girls Brigade where able to assist with the Reading and Dramatizations in the service. Also taking part were some people who had attended the Jammy Church on “Moses Crossing the Red Sea ” the day before. We were also able to celebrate the Achievements of Members of the Boys and Girls Brigades as Badges were presented to them during the service, that they had gained over the last few months. 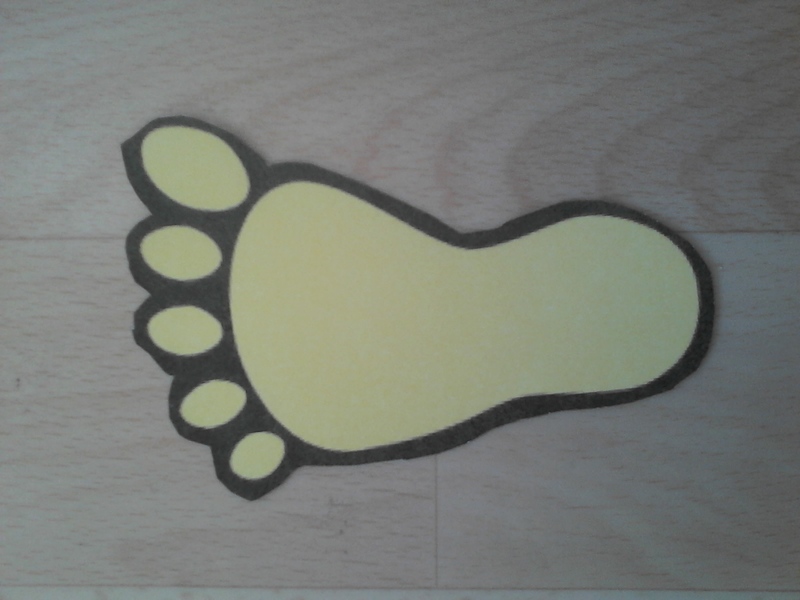 We were all given a Paper Footprint to take home with us so that we could reflect on aspects of the Service and the Christian Journey during the Week. This Event will take place on Wednesday 21st May at 6.30 p.m. Everyone is welcome to come along and see what the Brigades have been up to. To give you an idea of what to expect an article about last years Awards evening is below. During the Evening of Wednesday 3rd July, Relatives and Friends of the Boys and Girls Brigades attended the Annual Display and Awards Evening. This was an opportunity for us all to see what the Brigades had been up to during the last year, and congratulate them on the Badges they had achieved. We were pleased to welcome the Boys Brigade Battalion President, to present the Awards. To see more about the Brigades please look at the Pages section to the Right of this post. On Sunday 9th February we were pleased to welcome the Mayor of Eastleigh Councillor Malcolm Cross and his wife Sue. During the Sunday Morning Service The Mayor presented 4 Bronze Duke of Edinburgh Awards and 3 Gold Duke of Edinburgh Awards to members of the Boys Brigade, and a Queens Badge to Gemma from the Girls Brigade. We were all pleased to have the opportunity to congratulate them all on their hardwork in achieving these Awards. Ben, Jonathan and Jonathan are due to attend St James Palace to be presented with their Gold Award certificates either by the Duke of Edinburgh or Prince Edward. The Sunday Service on the theme of the Prodigal son was conducted by our Minister the Rev. Christine Coram and 157 people attended.